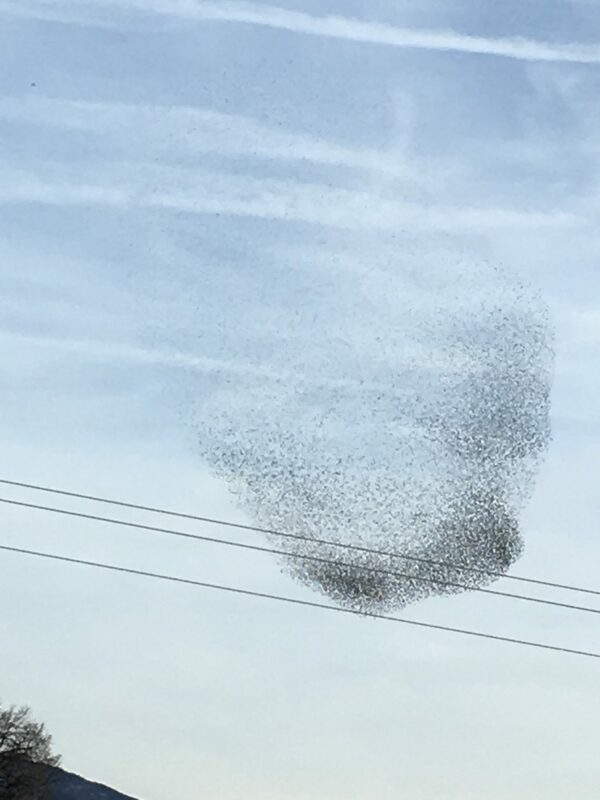 We have been visited by a huge flock of starling like birds. 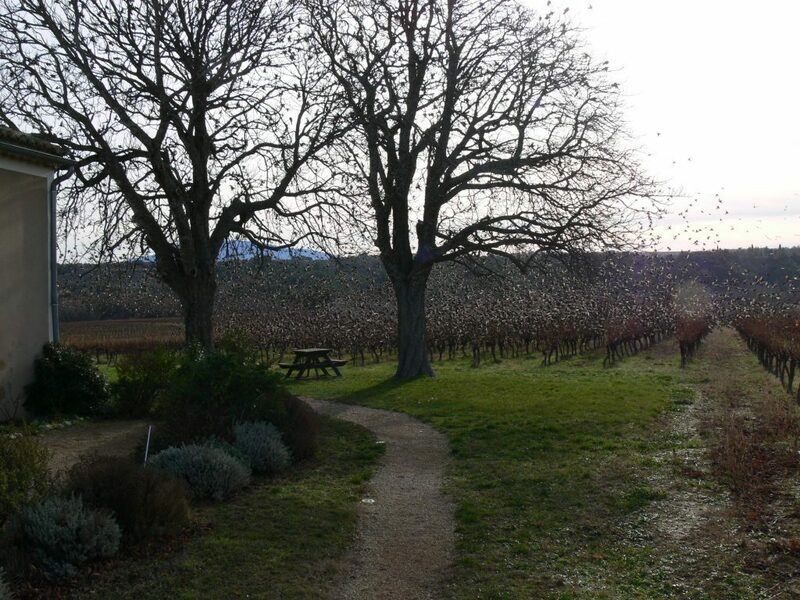 One often sees them in the distance wheeling in the sky, but this flock was right around the Domaine. When they are on the ground the noise they all make with their tweeting is so loud, but if you approach they become silent and take to the sky and wheel in amazing shapes, with only the collective sound of the beating of their wings. A spectacular sight.